There has been a surge in the level of interest in Spanish properties from British buyers, with both enquiries and sales among this demographic increasing. So says Marc Pritchard, sales and marketing manager at Taylor Wimpey de Espana, who revealed that in August, 53 per cent of all his firm's transactions were completed by Brits, which is the highest proportion it has been in nearly two years. He explained there are several factors that have combined to make Spanish real estate an attractive option for British investors. Mr Pritchard noted there is a good supply of high-quality homes in popular locations that are available at reduced prices. In addition, the exchange rate between sterling and the euro and the low rate of value-added tax payable on property transactions have added as extra incentives to enter the Spanish residential sector. He stated that "Brits are prepared to act in order to take advantage of the current market". Despite this renewed interest among buyers from the UK, data published earlier this week by the Instituto Nacional de Estadistica showed that property sales declined by 2.5 per cent in July, compared to a year earlier. n March and May this year 78 per cent higher than the three months from December to February. 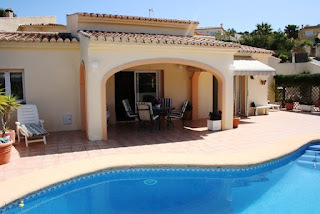 See details of our 3 bedroom house to rent in the southern Costa Blanca, Spain. Overlooking the pool, close to the beach, shops, restaurants and golf. Sleeps up to 8 people. All year round holidays. MURCIA’S new international airport at Corvera is set to open in April, a spokeswoman for concessionary operator Aeropuerto de Murcia SA told Costa Blanca News. The statement belies information offered just last month by minister for public works Ana Pastor who said it could be up and running this autumn. Full story in today’s Costa Blanca News. 9,502 house purchases were made by foreign residents in Spain during the second quarter of this year, representing an increase of 12% compared to the number of transactions recorded in the same period of 2011, and the highest figure since four years ago, when it reached 11,130 sales. One clear factor explaining the rise in foreigners’ property purchases in Spain has been the drop in property prices, which in the second quarter fell by 8.3% to 1,606.4 per square metre – a return to levels seen at the end of 2004. In contrast to the highs recorded in 2006 before the housing bubble burst, and according to data from the Ministry of Development, home purchases made by foreign residents in Spain marked a record low in the first quarter of 2009, when the number of transactions fell to 5,036. With regard to location, El Pais reported that most home purchases made in the second quarter were in Andalusia (1,676), Valencia (3,114), Catalonia (1,615) and the Canary Islands (1,173), while the lowest number of operations were recorded in Cantabria (15), Ceuta and Melilla (16) and Extremadura (18). As for the purchaser’s province of residence and the location of the property, Alicante headed the list with 2,645 transactions, followed by Malaga (1,127), Barcelona (847), Tenerife (655), the Balearic Islands (536), Las Palmas (518) and Madrid (522). At the other end stood Avila (2), Ceuta (3) and Palencia (4). Foreign investment in Spanish property during the first three months of the year rose by 2.5%, compared to a year earlier, to 1,163 million euros. According to the latest data from the Bank of Spain, this amount – the largest disbursement since the second quarter of 2011 – contrasts with the downward trend experienced in the Spanish investing in properties outside of Spain, which reduced by 50%, to 95 million euros. An interesting article in the Wall Street Journal last week highlighted an increasing gap between the supply and demand for investment property in Europe. Discussing the market for commercial property, Harm Meijer, European property analyst at JP Morgan Chase argues that "prime assets will stabilize or rise in value, depending on the country, but secondary assets will continue to slide." It strikes me that despite the doom and gloom headlines, this will also hold true for internationally-focused residential property. Let’s take Spain, as it’s the biggest European market. 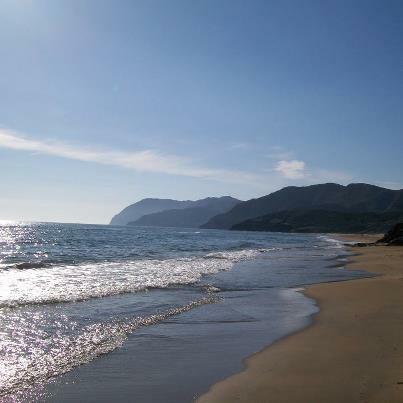 Prices are now 40% lower on the coast than at their peak according to the latest TINSA index. At first this seems strange as water-front property is most sought after category in our industry. Yet TINSA’s figures include all property in the coastal regions, the overwhelmingly majority of which is not even close to the beach. Price drops in Spain seem to be accelerating, propelled by the savings banks new taste for reality. However, the sinking tide will not take down all boats. Foreign buyers are not buying in boom numbers but volumes are rising and they are ever-more discerning. The demand for conveniently-located, well-priced, low-medium density completed resorts with beach views is at a post-boom high. The fact is there is genuine shortage of property that ticks all the boxes of the people who are now buying abroad. This fact has either escaped the headline writers’ attention or just doesn’t sell newspapers. “Spain hit by huge property shortage” won’t be headline you’ll be reading any time soon in the Daily Mail. That is until international property advertising revenue begins to rise again and that could be some time. The results are in! A recent survey conducted by the Overseas Guides Company revealed that the economic turmoil of the last few years has done little to deter those determined to buy their own slice of heaven abroad. Of the 1,114 respondents, 36.9 per cent confirmed that they have not changed their approach to buying abroad or emigrating despite the general economic crisis and believe that now is as good a time as any to purchase abroad. A further 42.2 per cent admitted to being wary but their concern has not led them to change their plans. So, which demographic are the most likely to be planning an overseas property purchase? The survey discovered that around 70 per cent of prospective buyers are at least 50 years old  the majority ranging between 50 and 64. Of this age group, more than 70 per cent plan to buy outright without a mortgage and 59 per cent of respondents revealed that they are planning on buying to emigrate. I must admit those findings surprised me, I guess if you want something bad enough, you press on and achieve your set goals, but how about you? Are you still pressing on? Why not call me and see how achievable your plans are to own a property abroad. A recent survey conducted by the Overseas Guides Company revealed that the economic turmoil of the last few years has done little to deter those determined to buy their own slice of heaven abroad.Of the 1,114 respondents, 36.9 per cent confirmed that they have not changed their approach to buying abroad or emigrating despite the general economic crisis and believe that now is as good a time as any to purchase abroad. A further 42.2 per cent admitted to being wary but their concern has not led them to change their plans.So, which demographic are the most likely to be planning an overseas property purchase? The survey discovered that around 70 per cent of prospective buyers are at least 50 years old – the majority ranging between 50 and 64. Of this age group, more than 70 per cent plan to buy outright without a mortgage and 59 per cent of respondents revealed that they are planning on buying to emigrate.